A serious case of love at first sight is a big problem for Count Almaviva. Enter the resourceful barber named Figaro, who cleverly solves everyone’s problems – for a price. Secret letters, cunning disguises and all sort of confusions will delight young audiences as the boy gets the girl and Figaro gets paid! 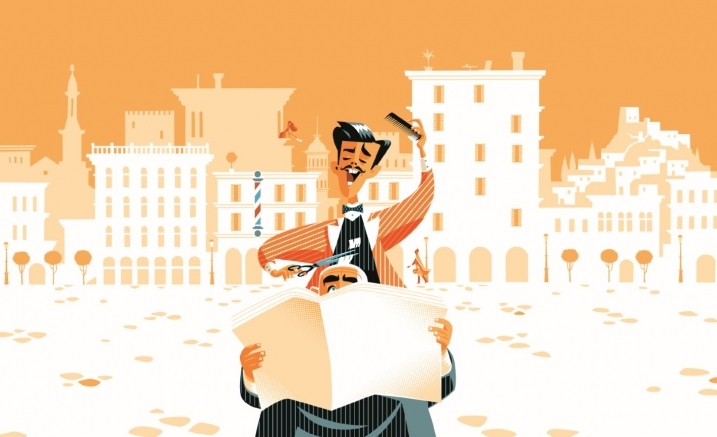 Rossini’s The Barber of Seville is one of the most popular operas ever written, and this production is sung in English to engage children of all ages. This performance will include Auslan Shadow Interpreting, which incorporates Auslan interpreters into the onstage action with stage direction & costumes. Shadow Interpreting results in a comprehensive theatre-going experience for deaf and hard-of-hearing children and their families. Supported by the Betty Amsden Kids & Families program.